One of the most important things for a bride once she gets engaged, is her wedding dress. Every bride wants a wedding dress that will make her shine on the most special day of her life. Finding the perfect dress is every bride's priority, but it is certainly not the easisest task. 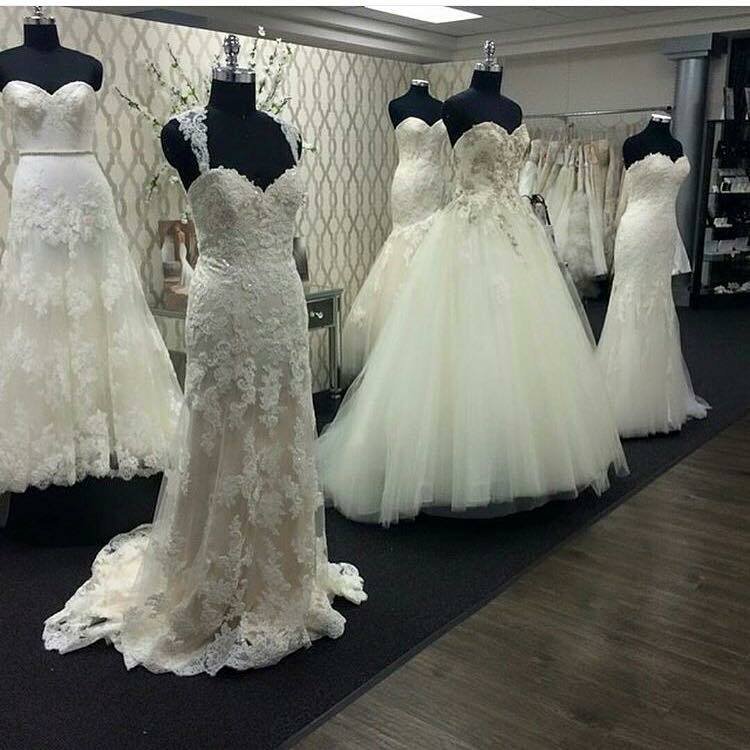 Brides start looking for wedding dress shops as soon as they get engaged. Many brides in Saudi Arabia have their wedding dress customized or tailored according to their taste and style, while others prefer to buy a ready made dress from the various shops in Saudi Arabia. To make the search easier on you, we have a list of the top wedding dress shops in Riyadh to help you find the perfect wedding dress. 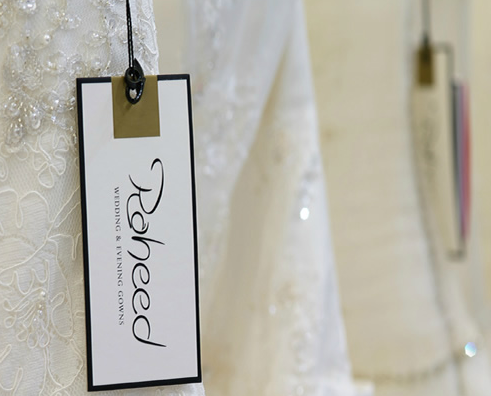 Also read: "The Top 4 Wedding Dress Shops in Jeddah"
Raheed boutiques have many branches throughout Saudi Arabia, the first branch opened in 1989, and has now become one of the most popular bridal and evening dresses shop in Saudi Arabia. The boutique offers the finest wedding dresses, made from luxurious fabrics, such as French lace, and Austrian crystals. Once a bride decides on a dress, she can ask for any changes or fixes she needs. All you need to do is to call the boutique to set an appointment before going to try on the dresses. This shop is considered to be the most unique, because of the unique bridal gown desings it offers, which are not usually available in other shops. There is also a very limited amount of dresses from each design, so a bride can feel more special and have her very own unique wedding dress. The shop offers many international brands such as Enzoani, Justin Alexander, Casablanca, Allure Couture, and Allure Bridal. The place is located on the King Abdulaziz street, and offers comfortable changing rooms. The shop also offers bridal accessories such as tiaras, hair pieces, and other bridal accessories. 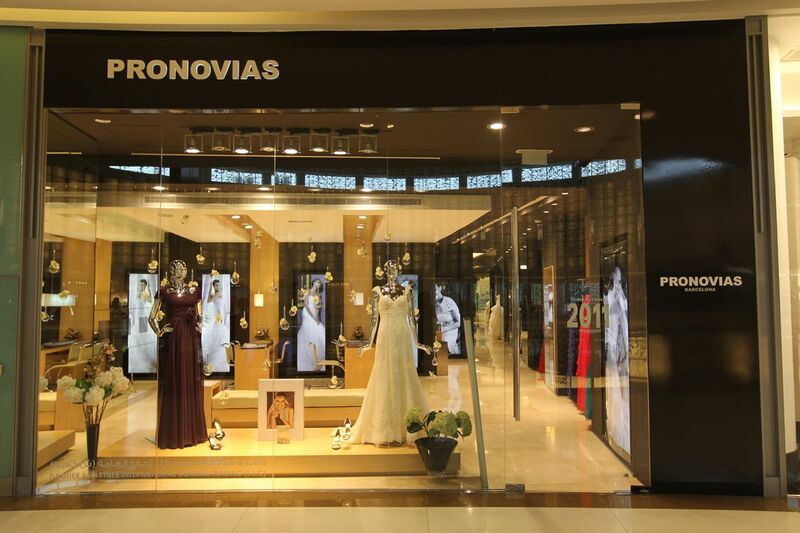 Pronovias always offers the latest trends in bridal fashion. 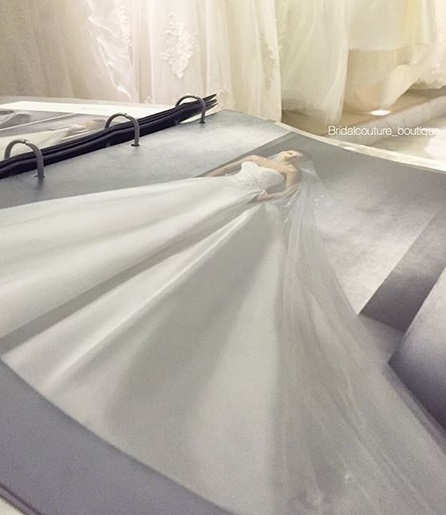 The Spanish brand is considered to be one of the top bridal brands around the world. The place offers a variety of wedding dresses and evening dresses, and a bride can try any dress she likes once she sets an appointment. Pronovias is known for its unique and luxurious lace, which is fit for royalty. The experts at Pronovias also offer makeup and hair consultancy. 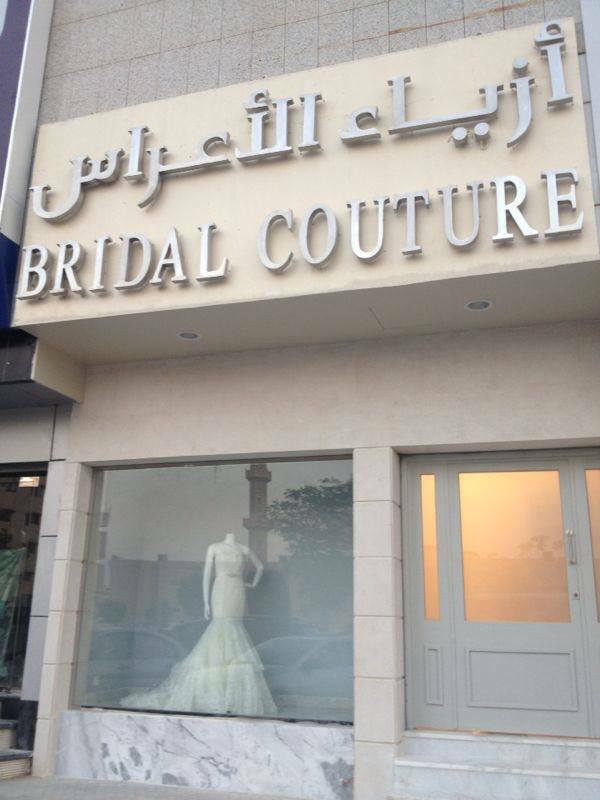 Bridal Couture boutique offers a variety of elegant European wedding dresses and evening dresses in Riyadh. The boutique also offers beautiful veils and bridal accessories that suit every taste. The boutique can also ship your wedding dress to any region in Saudi Arabia, and brides can order any dress or bridal accessory through the catalog in the boutique. Brides should also contact the boutique to take an appointment for dress trials.